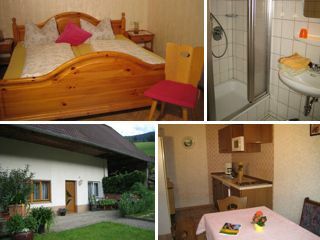 Ground level apartment in a sunny and quiet location for 2-3 persons or 2 adults and 2 children up to 10 years. The terrace is equipped with garden furniture, lawn, playground, table tennis, barbecue. 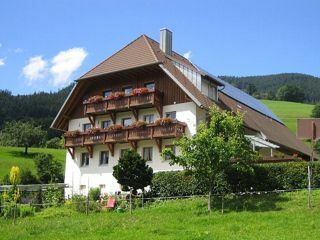 Starting point for hikes and mountain bike tours as well as trips to Freiburg. We look forward to meeting you! We speek english! With an occupancy of 14 days we grant you a discount of 10%. You pay instead of € 420 only € 378 with the same performance. Apartment for 2-3 people in a sunny location in Simonswald.